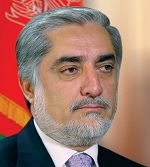 1TV News: Afghanistan’s Chief Executive Abdullah Abdullah on Sunday rejected speculation by some that the unity government will collapse. A newly formed opposition group led by former minister Anwar-ul-Haq Ahadi has called for early presidential elections in the country accusing the unity government of failure to deliver. Some U.S. officials have also predicted that Afghanistan will face political breakdown in 2016. Click here for more (External link).